Back in 2010 I published a post The Psychic Surgeon Arigo. This was about Jose Pedro de Freitas, known as Arigo, who performed operations and cures using only a 'rusty penknife'. He became well known in the late 1960s. 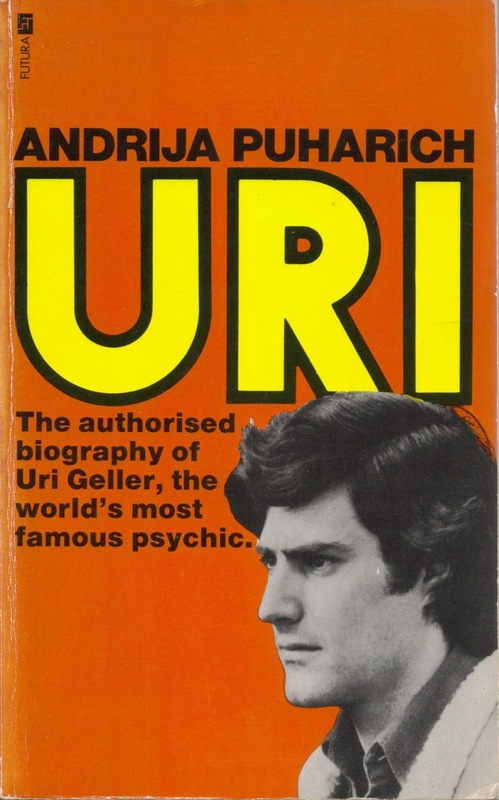 This week I started reading an authorised autobiography of Uri Geller by Andrija Puharich. This is an old book I picked up at a car boot sale and was published back in 1974, in the very early days of Geller's career. The book talks of UFOs, contact with aliens and so on - maybe I'll write a post about this another time. "I had a lipoma on the elbow ... about 0.5 inches by 1.2 inches by 0.4 inches. It had been in place for seven years ..."
Using a Swiss army knife offered by an onlooker Arigo started the operation. "Arigo told me not to look at the surgery ... At the same time I felt Arigo grasp my arm at the tumour area with his left hand. All I could feel was something like a fingernail being pressed into the skin. Within five seconds Arigo displayed an elongated egg-shaped tumour for all to see and handed it to me with the pocket knife. I felt no sensation of pain. When I looked at the wound there was a trickle of blood from the incision, which was about a half inch long." 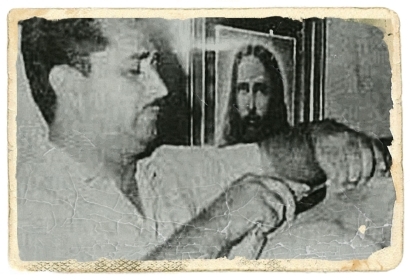 By the fourth day after surgery Puharich was able to dispense with the covering bandage. "... clearly proved there had been an operation, and thus mass hallucinations were ruled out. The film showed that Arigo had made six saw-like strokes of the knife through my skin to make the incision. This alone should have been painful. And strangely the tumour popped out of the arm ... The entire procedure lasted five seconds." "Arigo's powers may not be due to Dr Fritz, but to some intelligent beings associated with spacecraft of extra-terrestrial origin. This seemed to be a perfectly logical hypothesis, but, of course, there was no way to test it." Nothing fraudulent was ever proven against Arigo. His ability in making diagnosis was tested against X-ray, electrocardiogram and so on. At the beginning of January 1971 he told friends that he would soon come to a violent end. He was killed in a car accident on January 11th. Over 20,000 people turned up to mourn him at his funeral. You might be thinking as to why this was included in an autobiography by Puharich on Uri Geller. Must admit I scratched my head about this too - but there is a connection - Space Beings or Space Brothers. According to Puharich there is much more to life on Earth. "The fact of every knowledge experience is timeless, although the act of knowing is in time. To experience knowledge is a timeless experience." There's something to chew on! I'm chewing away! I see Agrio to be as likely to have been taken over by a space brother as a dead doctor. I didn't know there was any connection between Uri and aliens. Did you see the TV prog on him recently about him helping the CIA? No aliens mentioned there. I remember reading this book when it came out and was fascinated what arigo could reportedly do. Brazil, as a culture, is very open to the paranormal, it seems. Wish we got that uri show here in the u.s.